The Club currently builds and presents 2 large shows a year and a couple of smaller exhibits. Our shows consist of modular and scratch built layouts. The HI-rail display sits on a 40' x 12' modular tables, providing a platform for viewers to see the biggest and best of the new scale steam, diesel and electric engines from several manufacturers. 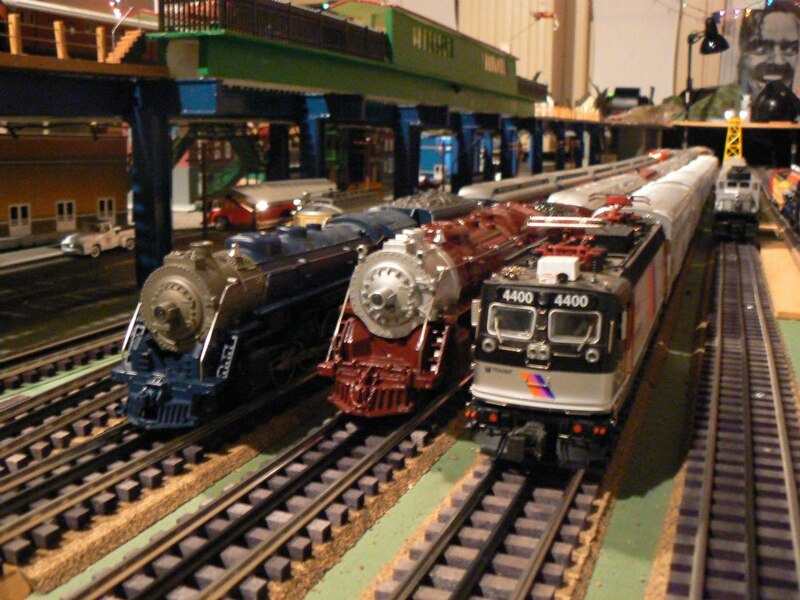 The scratch built tables provide trackwork to support "O" gauge tinplate, Standard and American Flyer "S" gauge trains, with the added benefit that every year a different layout is displayed for the returning customers.